Bentler Oil had become largely a Phillips 66 jobbership, but that all changed with the merger of a local Standard Oil jobbership known as Menke Oil, owned by Dennis and Kate Menke. The newly-merged company was named Jet Gas to represent speedy service. In the early 1980's, Leroy bought out Dennis and Kate who went on to start a very successful ice company, Crystal Ice, now named Arctic Glacier and located in West Point, Iowa. Leroy's commitment to overall excellence in meeting the fuel needs of his customers shaped Jet Gas into the company it is today. As Jet Gas continued to evolve, transport and tankwagon divisions were added to further enhance its fuel-delivering capabilities. 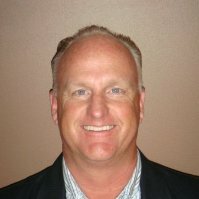 Leroy's son, Larry, who spent 10 years managing the Pep Stop convenience store in Fairfield, Iowa, acquired Jet Gas Corporation in 1988. 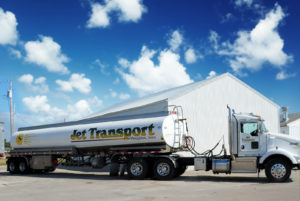 The Jet Transport division services commercial fuel suppliers, as well as large agricultural and industrial customers and our dealers. Jet Tankwagon, with divisions in Fort Madison, Houghton, and Pulaski, meets the fuel needs of smaller agricultural, commercial, and residential customers. Our personalized service has earned us a reputation for dependability in meeting all of our customer's fuel needs. The corporation continues to expand and now includes 10 convenience stores located in Southeast Iowa and provides fuel services to multiple dealer stores. Each store has its own unique personality, offering competitive fuel prices and an inviting customer service environment. Visit the Jet Stop locations page for additional store information. B&B Propane is the sister company to Jet Gas Corporation and was established in 1966 by Leroy Bentler and Adrian Hunold. It was purchased from Leroy by his son, Larry, CEO of Jet Gas Corporation, in 2005. "Safety and Service" was adopted as the company motto and remains the core mission of the company today. After two more Iowa acquisitions by Larry in 2008, the company's propane services reached into 16 counties in the Southeast Iowa and Northern Missouri regions. In 2013, the company again saw additional growth with yet another Iowa acquisition as well as a new area acquisition in Illinois. With the addition of these two areas, the company now services 27 counties in Southeast Iowa, Northeast Missouri, and Western Illinois. B&B Propane maintains a fleet of propane trucks to meet the needs of residential, agricultural, and commercial customers. The propane demands of large agricultural and commercial customers are met with the company's transport services. Visit the B&B Propane company site for additional information. The company's community involvement is recognizable through annual scholarship awards and the support given to local schools and their sporting events through sponsorships and advertising. Commitment to their local regions continues with the "Warm Your Neighbor" program, established by B&B Propane in 2009. This program assists local families that are struggling to afford their heating costs. Visit www.warmyourneighbor.com to learn more about this unique program. Extensive driving and safety training is provided to each of our drivers. Coupled with a knowledgeable and friendly office staff, a level of customer service is provided to our customers that they have come to expect and deserve and remain key in the continued growth and success of the company.